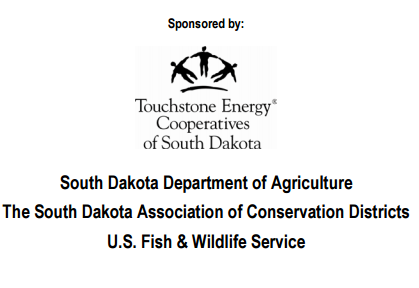 Each year the South Dakota Department of Agriculture, Resource Conservation and Forestry Division sponsors a resource conservation-oriented speech contest. Any SD student in grades 9-12 is eligible to enter. This includes public, private and home-school students. Click to see the 2018 winners. The contest consists of three levels - local, area and state. Two winners from each of the local contests advance to the area contests. Two winners from each of the seven area contests advance to the state competition. The 2019 Contest Rules and Entry Form. ​You may also contact the Resource Conservation and Forestry Division by calling 605.773.3623.